The results of the Best Baby & Toddler Gear Awards 2017 have just been announced! 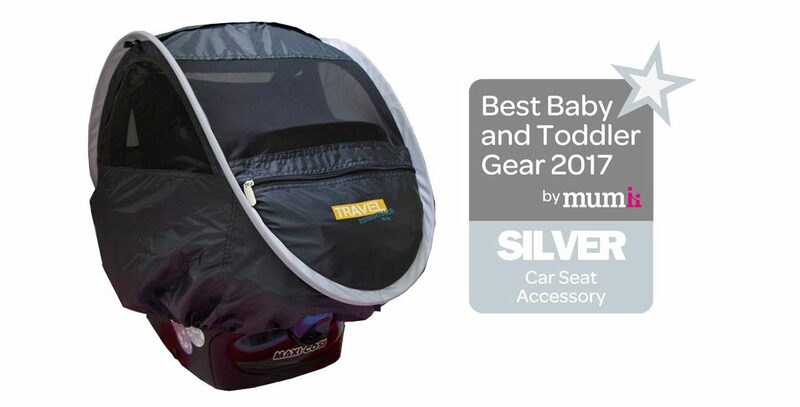 The on line entertainment space for mums awarded NSAuk’s 3-in-1 All Weather Protector a Silver accolade in the Car Seat Accessory Category. This ingenious Car Seat/Travel System protects baby from the elements; sun, rain and insects. Stored in its own convenient bag, it just pops up into shape when needed, providing a safe environment for baby when they’re out and about. It’s also very useful for in-car use as it gives all round protection from bright sunlight. Fits over most infant car seats, fold out wind/rain protection layer. SPF protection ensures 80% of the sun’s harmful rays are blocked. An absolute winner all round and only £20! www.nsauk.com. Car seat can be moved from car to house/park, etc without the need to take the cover off.